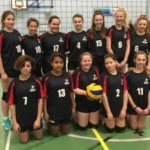 Ashcombe Under 15 Squad led by Captain Gill Quinn beat all opposition 2-0 in the Regional Championships, held at Ashcombe VC on 4th February 2017, to win through to the National Divisional Championships. This was the first full competitive games for some of the squad and coach Freda Bussey was able to give everyone of them some court time. Brandi Head, Dasha Zavyalova and Gillian Quinn showed their experience from playing in older age group competitions by serving and attacking with confidence and accuracy. Marta Sowinska, Emelia Vakera-Baird, Emily Beedham, Sara Hattaoui, Francesca Lovesey, Abigail Head, Hattie Breaden, Tatiana Soumarie and Jelena Labudovic completed the squad. The Divisional round is to be held on Sunday 25th March at Leaf Academy, Bournemouth. 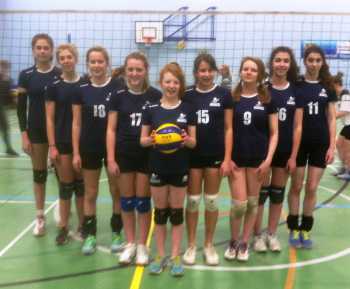 Ashcombe hosted the National Under 15 Divisional Championships on Saturday 30th January 2016 The young Ashcombe team defeated Lycee Francais and Team Southampton to progress to the next round in March. The National Under 15 Divisional Championships were held at Leaf Academy, Poole on Saturday 21st March 2015. Winning teams from London, South West and South East regional competitions were brought together for this competition and Ashcombe were in a pool with Polonia, Richmond and Wessex Leaf. 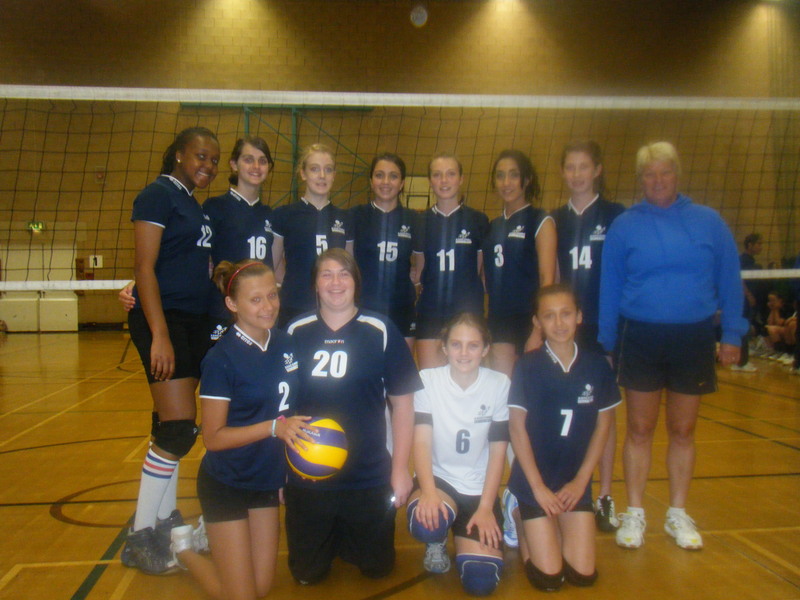 The 2nd pool was comprised of St Thomas More Lynx, Willesden VK Barnet, Cherwell and Beach Academy. All the pool games were played to the best of 2 sets and Ashcombe started well and drew their first game against Wessex Leaf 1-1 . The second game was against a very well organised and drilled Richmond team and although Ashcombe fought bravely Richmond took the match 2-0. Ashcombe had to beat Polonia 2-0 to reach the semi finals but Polonia were worthy opponents and battled to win one set and the game was tied at 1-1. Richmond and Beach Academy won their semi finals to progress to the National finals in Kettering on 9th May 2015. In the boys competitions Malory Greenhouse and Richmond will represent the South Division on 9th May. Team: Issie Russell [captain] Kirsty Gaston, Ellie Kim, Katie Lay, Leah Blight, Gillian Quinn, Lauren Marshall, Ilona McDonald, and Andrea Tudorache. On Saturday 31st January Ashcombe beat Team Southampton A and B and lost in a very close game to Cherwell to reach the Division Round of the Under 15 championships. Team: Issie Russell [captain] Kirsty Gaston, Ellie Kim, Katie Lay, Gillian Quinn, Lauren Marshall, Ilona McDonald, Any Antonio and Andrea Tudorache. The next round is to be played in Poole on Saturday 21st/Sunday 22nd March 2015. Ashcombe Under 15 girls found the opposition too hot to handle when they traveled to Bradfield College, Reading to play in the Southern Area leg of the National Under 15 championships. 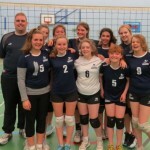 Andy Lay took on the coaching mantle and the junior girls team of Illona McDonald, Gillian Bond, Freya McDonald, Katie Lay, Emily Hill, Andrea Tudorache and Kirsty Meehan faced experienced teams from Croyde, Wessex and London. Although they lost all their games the team were determined to play well and show how much they have improved. 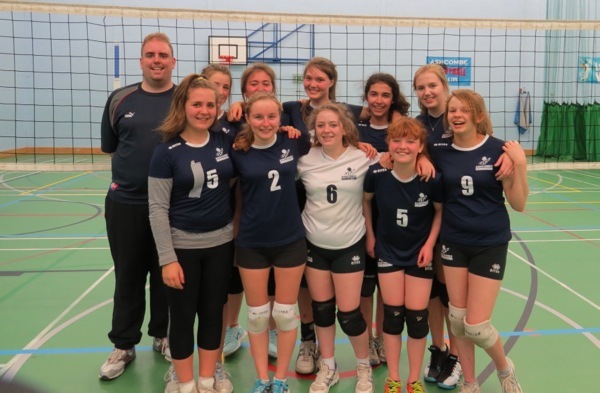 Ashcombe Under 15 girls faced teams from Cherwell Oxford and Team Southampton in their first round matches and despite nerves getting the better of the team at times they fought bravely on to beat both teams. 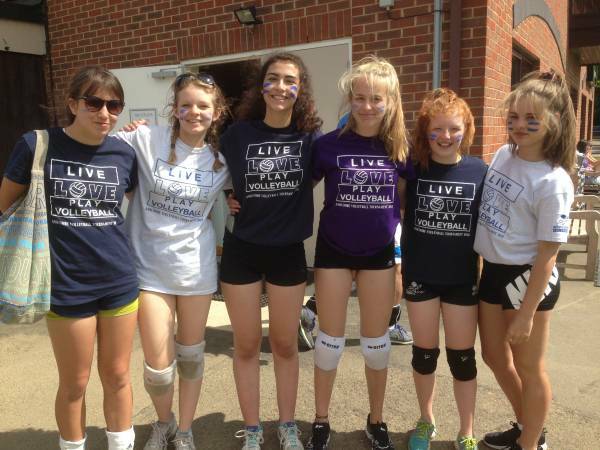 The girls now go to Reading to play in the Southern area competition on Sunday 23rd March 2014. Coach Tim Griffiths said the girls learned a lot by playing at this level and were looking forward to the next round. 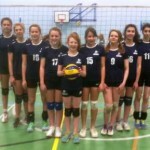 Ashcombe Under 15 girls will be playing in the National Under 15 competition Regional Round on Sunday 2nd February 2014. 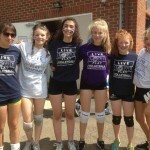 Ashcombe VC have offered to host the event at The Ashcombe Volleyball Centre.